It’s time to change the way we do business. It’s time to bring in a new mindset that business can be a force for good…for the people, the planet, and also the profits. The 1 thing you absolutely must avoid if you want to reach full potential in your company. 3 ways to get more enjoyment out of your workplace. How to use our 5-Step Formula to improve your people engagement. Why disengagement has become a global epidemic. How much lack of engagement is really costing us. 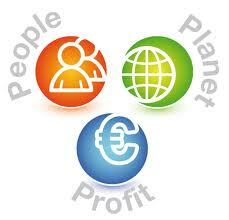 Why 3 future trends are effecting every business across the board. Yes! I'm Ready to Boost Profits! 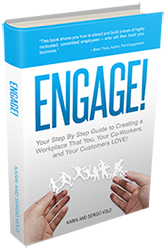 By registering for this special webinar, you’ll receive a copy of Engage! (copies will be sent out on Oct 8th). Karin uses her professional skills and draws from her personal experiences to help individuals and companies thrive through difficult transitions and maximize their potential. Her passion is helping people better their lives through sharing all she has learned on her own journey. Her purpose is to inspire and teach others to thrive and to learn to live joyfully. Some of her favorite pastimes are watching movies and laughing as much as possible. Note: Can't make this time? We'll be sending out the replay so you'll be able to watch at your convenience.